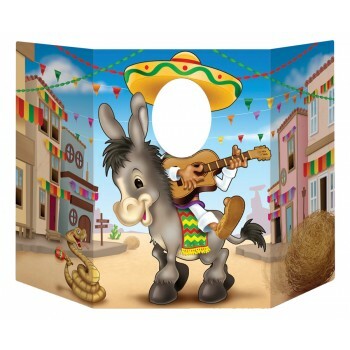 A neat looking photo op prop that will add a little spice to your Cinco De Mayo event. 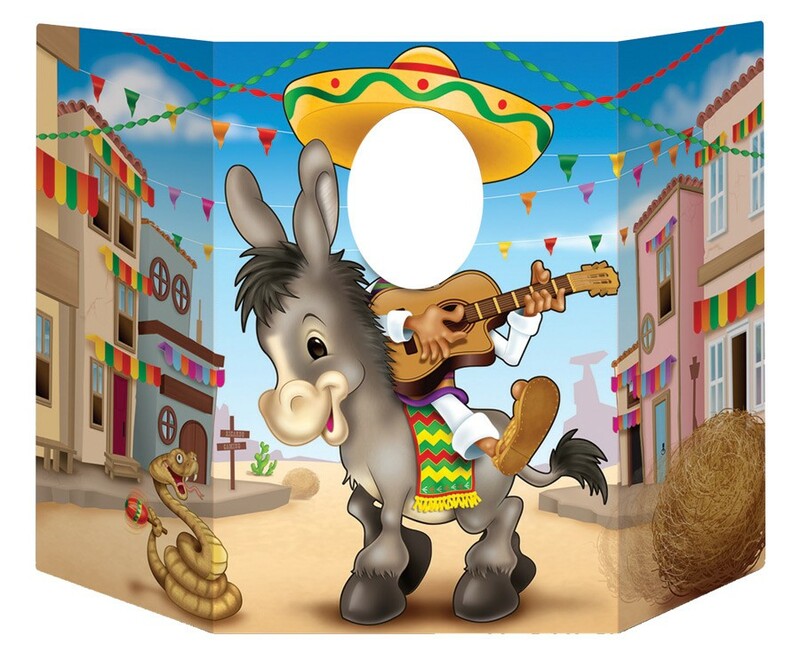 Subject needs to stick their head through the hole and it will give the impression they are riding a donkey while playing guitar in a city street. Very fun! Paperboard, 3ft 1 in x 25 in when set up.